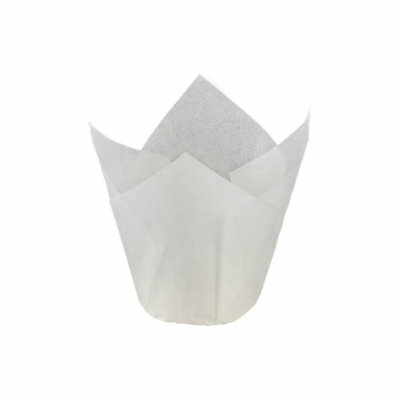 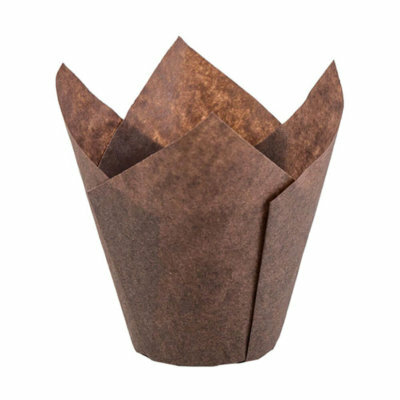 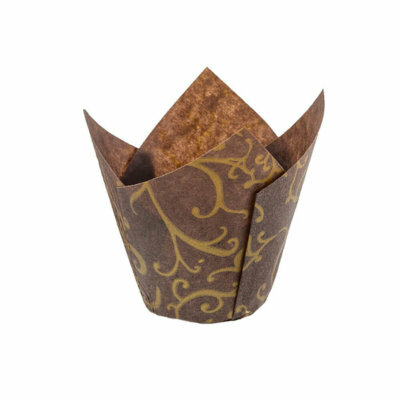 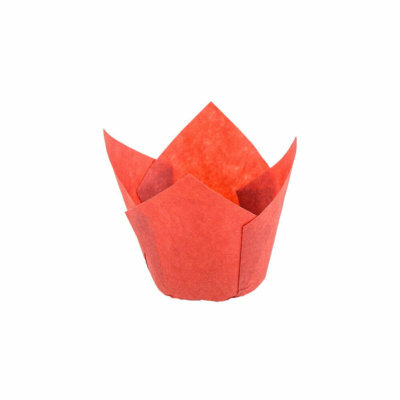 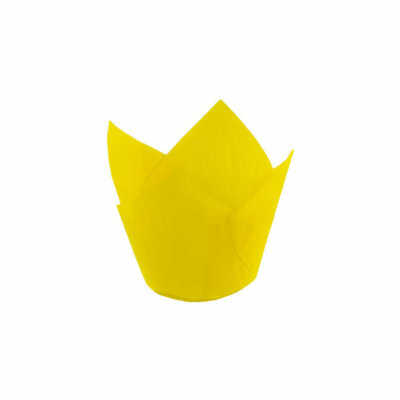 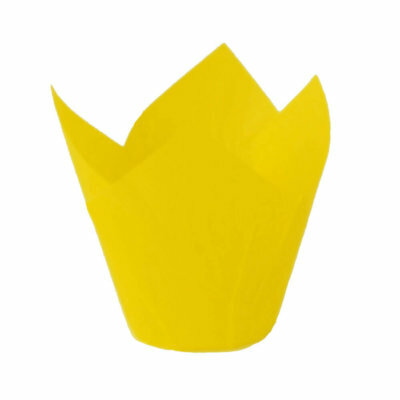 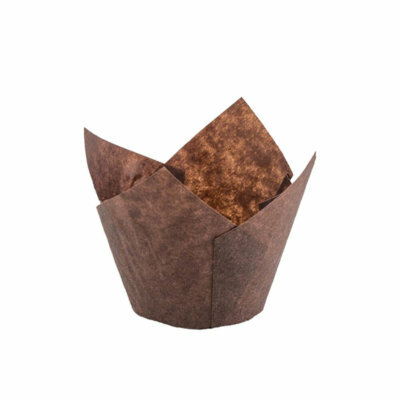 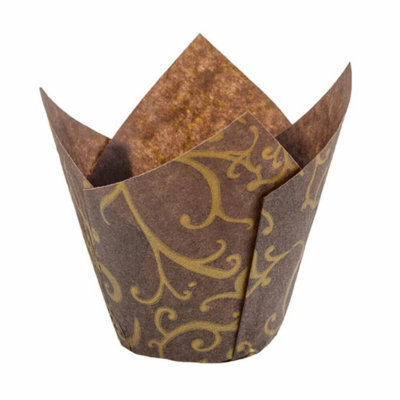 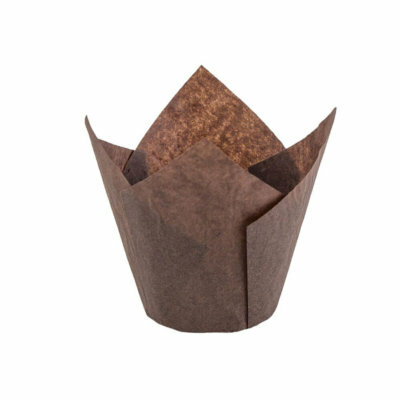 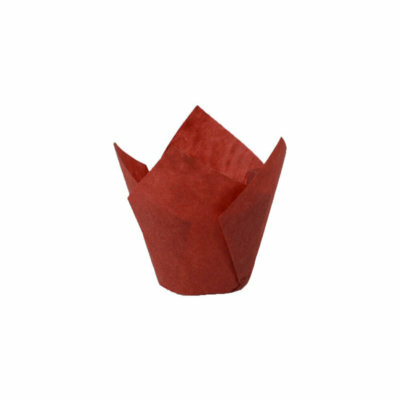 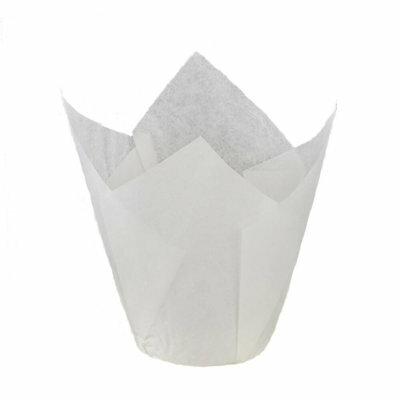 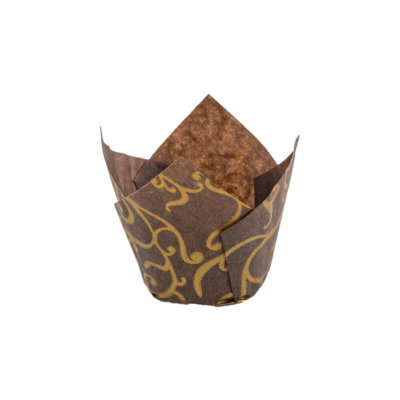 Tulip Cups: Manufactured in the USA, our Tulip Cups are made with grease-resistant paper and are available in a variety of colors including our exclusive house print – Brown Paper with Gold Scroll overlay. 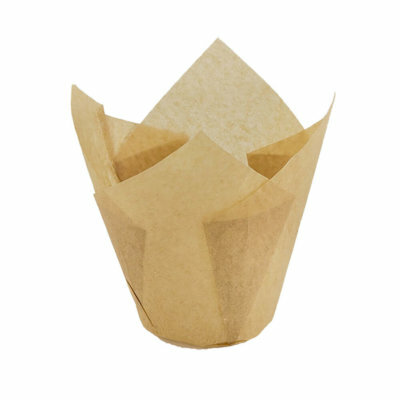 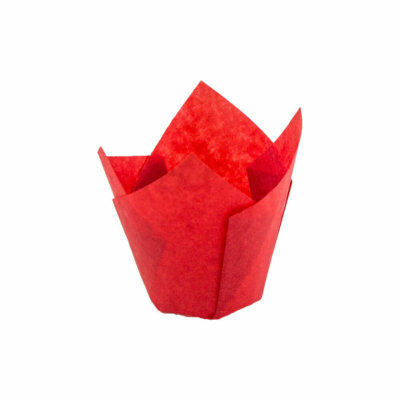 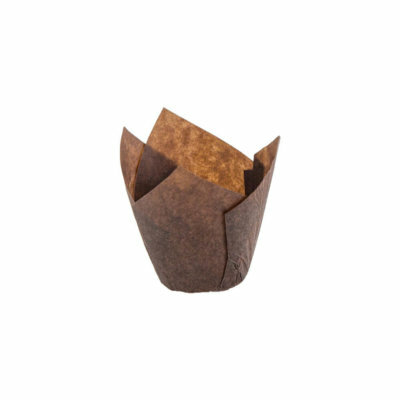 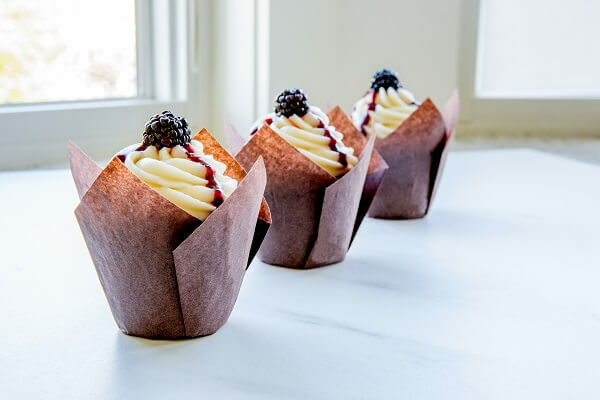 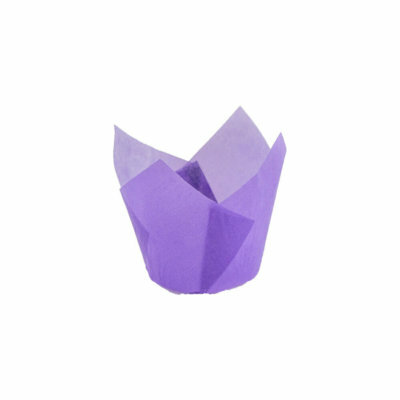 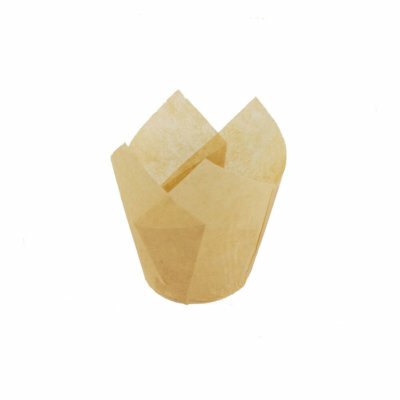 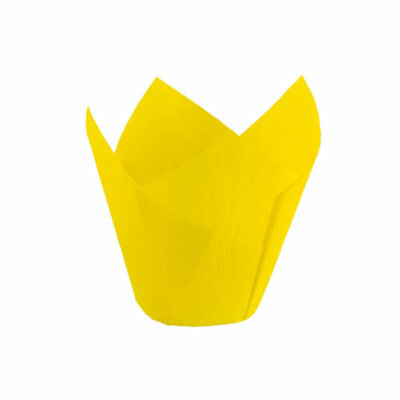 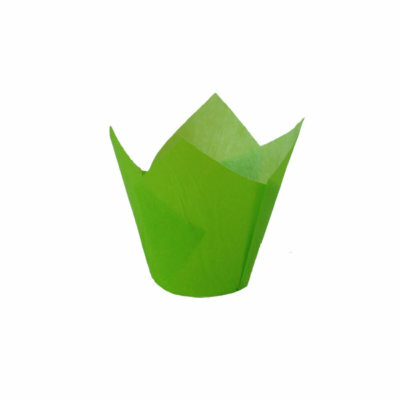 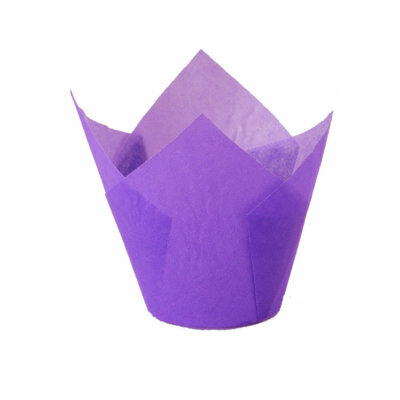 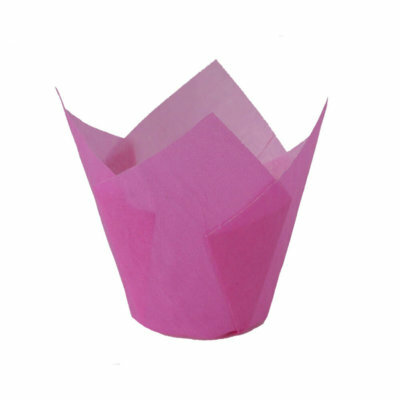 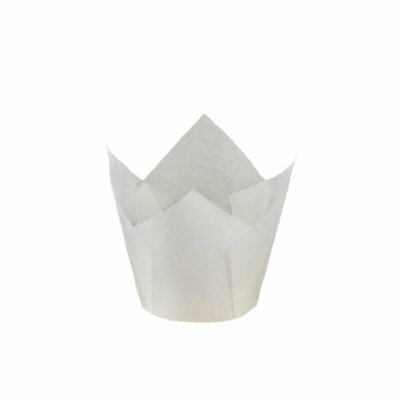 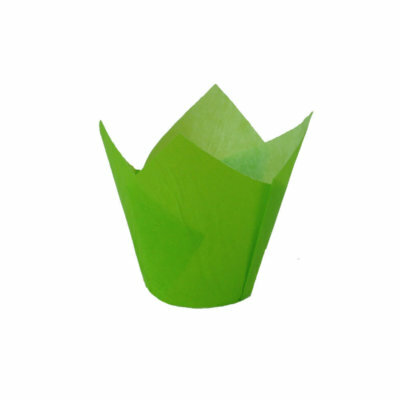 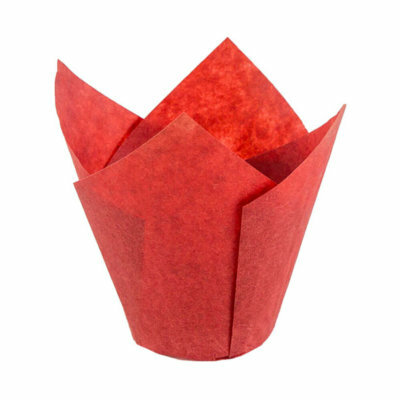 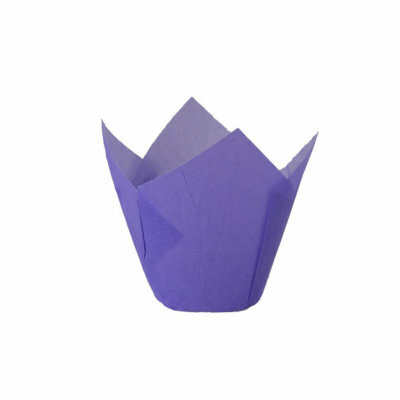 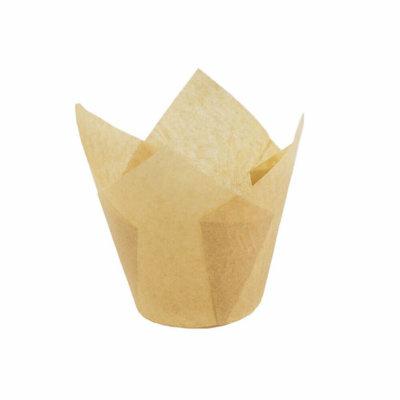 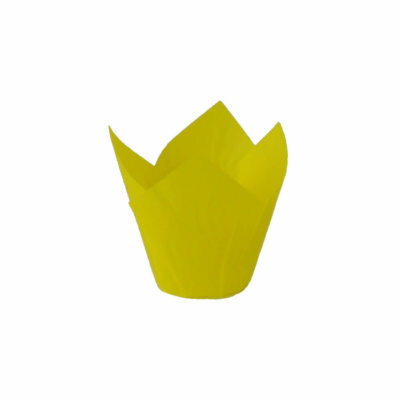 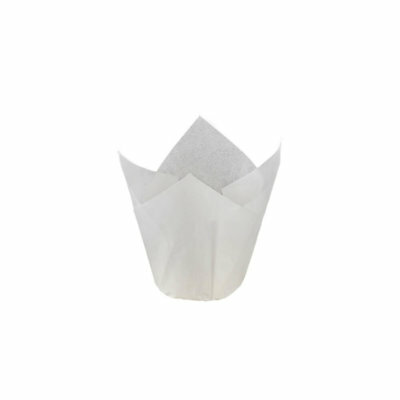 The petal tips give a beautiful modern look to muffins and cupcakes. 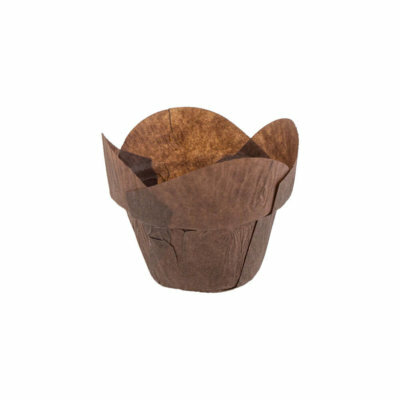 We have 4 different sizes of Tulip cups, 3 of which can be baked in the same size pan; the other is our new bite-size mini tulip cup. 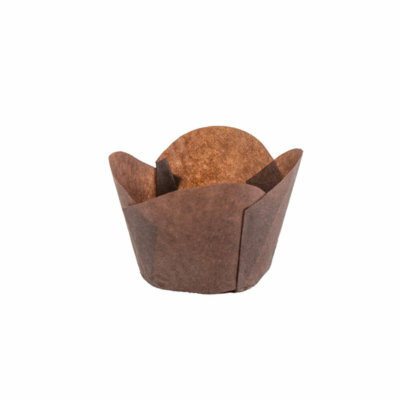 Great for: muffins, cupcakes, quick breads, coffee cakes, and monkey bread. 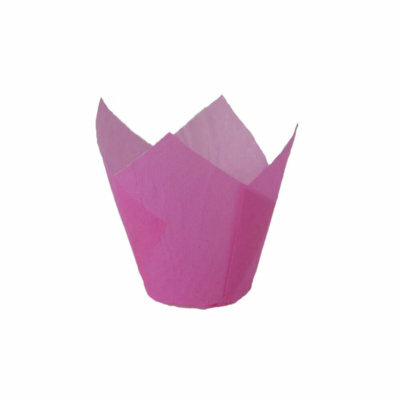 2" x 2-1/2" to 4"